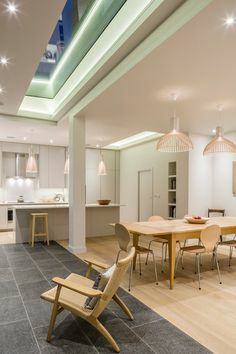 Rooflights flood your home with light. Did you know that the light brought in by rooflights is better than that of vertical windows? Why? Well, it’s all down to science. Light travels in straight lines. So, the straighter the angle the light hits your window – the better the quality of the light. Rooflights are also the perfect solution where you have an awkward interior area where a conventional window cannot be installed. Loft conversions are obvious candidates or you may have a long, dark corridor in your home begging for some daylight. If you are in a converted building or one that has been sub-divided into flats or units, very often this can result in areas in your home where there are no windows – and often where it would be impossible to install a conventional one. Of course, you could just want to enhance the daylight in a given area of your home. Which is why we’re going to be looking at rooflight enhancements – room by room and the options available. The kitchen is always the heart of any home so let’s begin there. If you are lucky enough to have a large, spacious kitchen, then adding rooflights can turn it into an additional living and entertaining area. This lantern rooflight fuses together the kitchen and dining areas in this converted coach house. 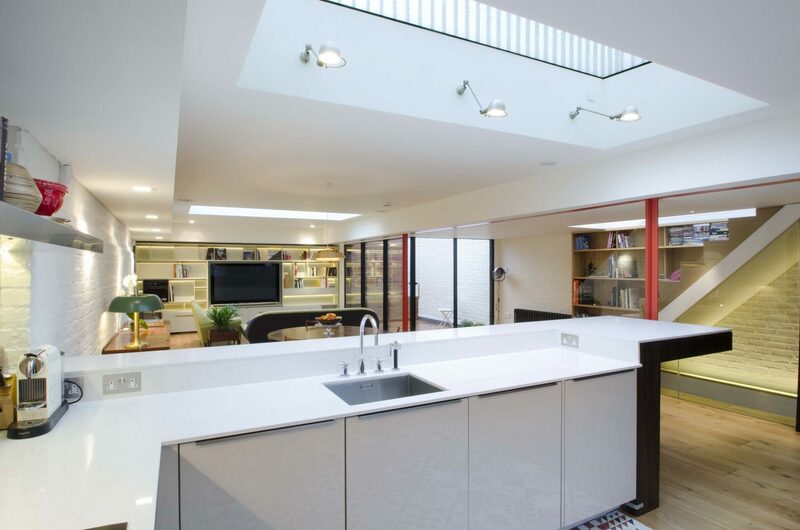 While this opening rooflight brings in much needed illumination to this kitchen/living area in Queens Gate, Kensington undertaken by Sam Tisdall Architects. 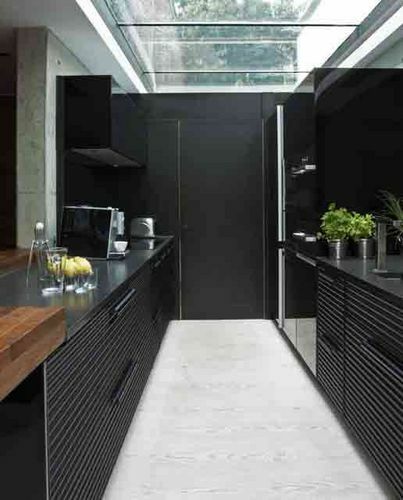 Rooflights turn a kitchen into a place for real living – and where you want to spend time other than just cooking – although the addition of rooflights just enhances the joy of food preparation. 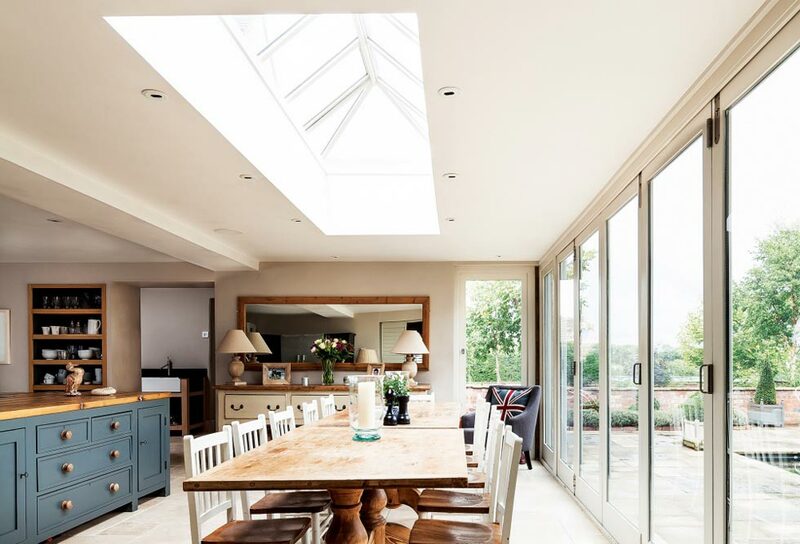 Take a look at some of these kitchens and how the judicious placement of rooflights just makes you want to create a ‘Come dine with me’ experience – even if you’re only inviting the family! 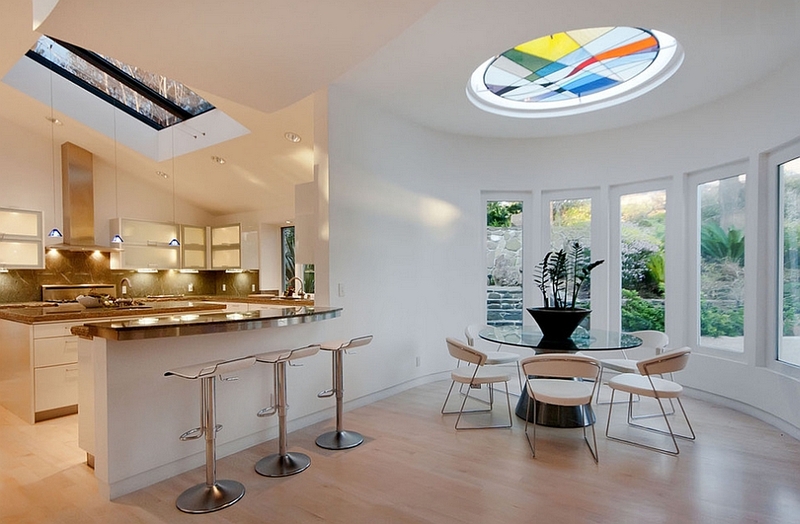 We particularly love the introduction of a stained glass rooflight in the dining area of the middle example. But my kitchen is really small – even the ceiling is small! If that’s your problem, don’t worry. We have a range of rooflights that can bring in that much needed light to small, challenging areas. The effect can be nothing short of miraculous as additional light can make even the smallest spaces appear bigger. 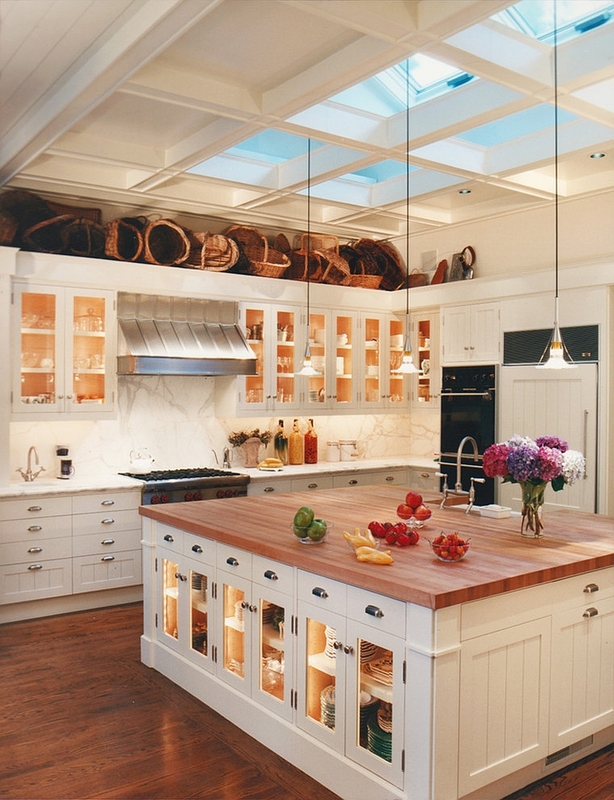 Ready to cook up some illuminating ideas for your kitchen area? Take a tour of our Case Studies or contact us to discuss how adding a rooflight to your kitchen area could just be your recipe for better living in 2017.